In How To Break An Industry, Vox co-founder and editor-at-large Ezra Klein discusses a common thread that links what is wrong in Congress to Silicon Valley and on Wall Street to the media and beyond. Klein looks at the wrongdoing found in each as the faults of individuals, but notes that individuals respond to the systems they’re part of, and it’s the systems that are broken. Klein explains how we’ve designed industries with incentives that make even good people act badly, and what we can do about it during his Featured Session at the 2018 SXSW Conference. Watch the video above for the full How To Break An Industry Featured Session with Ezra Klein. Browse more 2018 Keynotes, Featured Sessions, Red Carpets, and Q&A’s on our YouTube Channel. 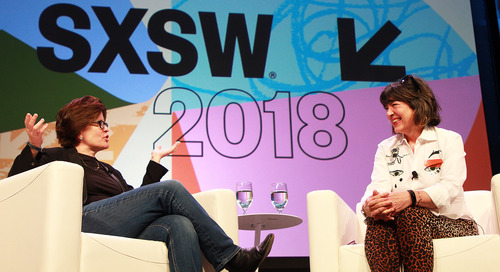 The post Ezra Klein on How To Break An Industry – Featured Session at SXSW 2018 [Video] appeared first on SXSW.